We cannot give what we do not have. So, if we do not love ourselves, or even if we are too obsessed with ourselves, how then can we love others? What Makes Us Girls examines the topic of self-worth through a modern cultural lens. 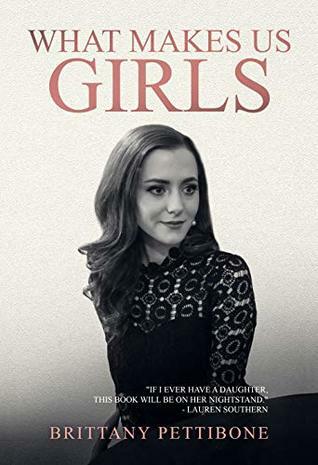 Using examples from the author’s life experience and the life experiences of a variety of other girls, What Makes Us Girls analyzes seven of the most common issues that result in a destructive sense of self-worth: comparison, rejection, bullying, inauthenticity, purposelessness, betrayal and guilt. Every girl in the world, no matter our age or the country we are from, will have to face a battle for self-worth. Some of us will win and some of us will lose. But those of us who win will do so for two reasons: because we are able to see the battle for what it is, and even more importantly, because we have the right weapons to fight it.